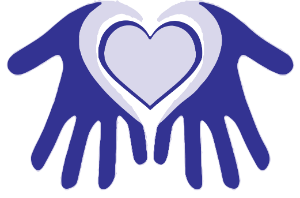 The Kids hurt too, Healing Young Hearts mission is to strengthen connections to family and community by bringing together grieving children, teens and parents in safe and healing ways. Kids hurt too focuses on children, ages 3-19, who have lost a parent through death, divorce, abandonment, incarceration, deployment, or being in foster care (including care-givers). We provide a safe and loving environment where they share stories, strengths and talents, and learn healthy and safe ways to cope. Children make positive connections with adult mentors and are empowered. Peer support programs prevent abuse of children by increasing open communication within families and connections to community resources. As families engage in supportive relationships and enjoy activities together in the community, their hearts and homes are healed. Peer support programs for children, teens and their parents and caregivers meet either once or twice a month for two hours in the evenings. After a healthy dinner, participants meet with children, teens and adults in separate rooms. All groups are child-directed and family centered. Trained mentors provide support. Education, training and workshops are offered at various times throughout the year. If you are interested in training and/or want to be a volunteer children’s grief facilitator and mentor, visit our website or email a request to be included in our e-newsletter that will keep you informed of opportunities. Kids hurt too can conduct training with organizations serving young people on Children’s Grief and Trauma, Group Work with Children and Teens, and Secondary Trauma. Crisis management is available at no charge to families and schools to assist with the initial crisis after homicide, suicide, accident or disaster. Other groups needing crisis management may be asked to cover the cost of providing services. Additional counseling resources for families in crisis may be available at no cost through master level practicum students. FOR MORE INFORMATION ON KIDS HURT TOO HAWAII, CALL (808) 545-5683 OR VISIT OUR WEB SITE AT WWW.KIDSHURTTOO.ORG.